The Dentist Chef has two occupations: a dentist and a chef. Of course, if you’re willing to take his advice about oral hygiene, why not take his advice about tasty meals? 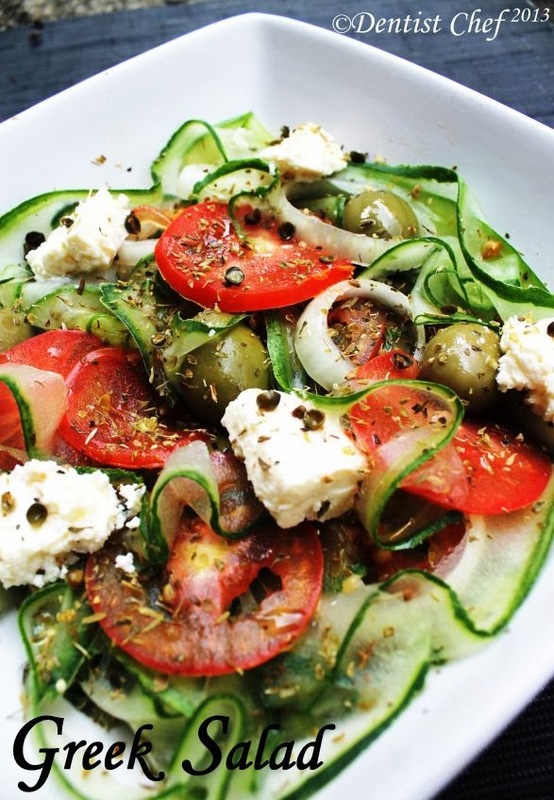 This Greek Salad Recipe is definitely one to try. It has cucumbers, olives, tomato, and feta cheese! This recipe happens to include onions and the salad dressing encompasses olive oil, oregano, pickled green peppercorn, salt and pepper, and a bit of vinegar. Add a little more to your salad by throwing in pickled leaves, buds or berries of capers, and other herbs and seasonings.